When you're planning a party in London you're spoilt for choice. 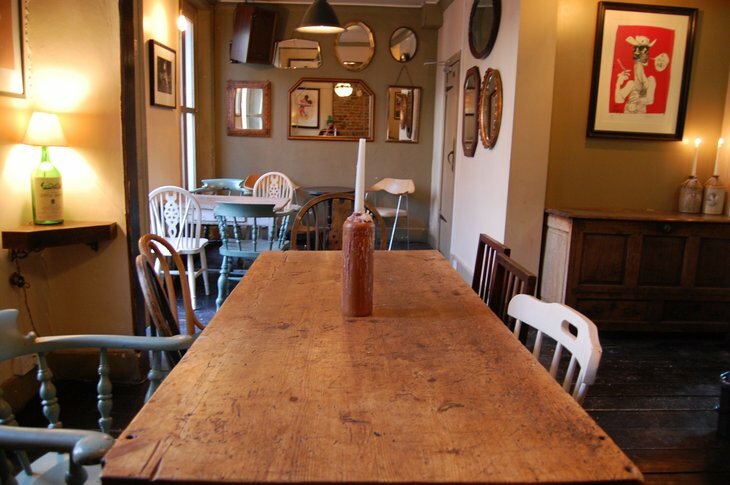 If you're like us, what you really want is a great pub with good drinks on offer and a quirky or function room that'll get your guests talking. So we decided to trawl the city for the best pubs with private rooms. 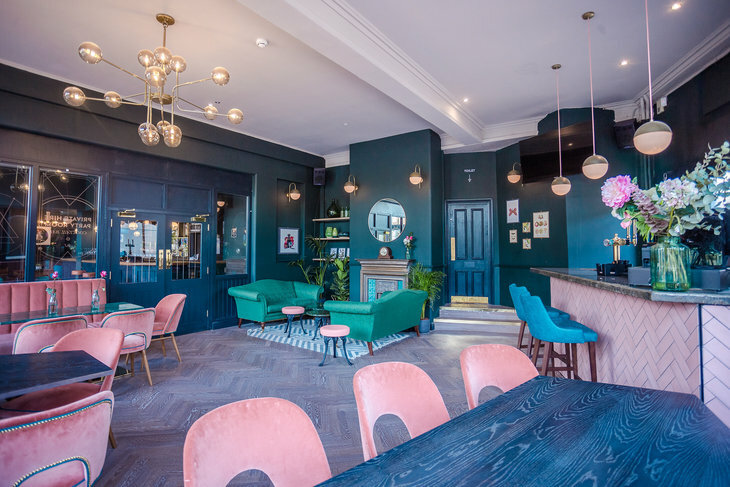 Whether you're looking for a proper east end boozer, a quirky south London party place, classy north London birthday venue or a west London night you won't forget, we've hunted down those that stand out from the rest. YES, REALLY! 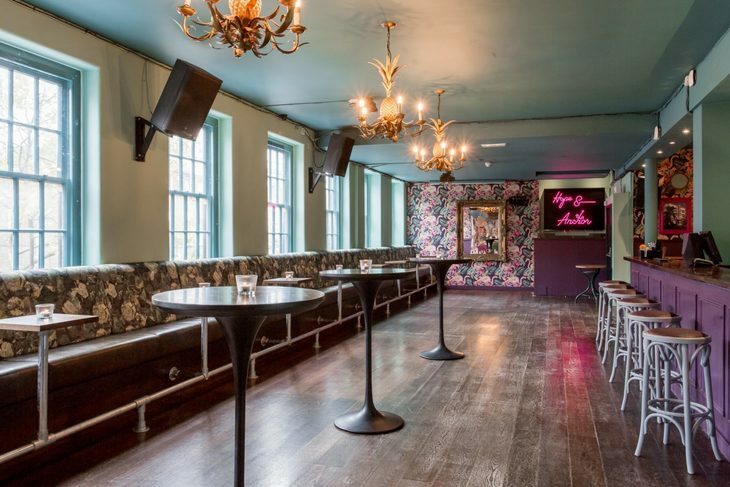 A free function room in Mayfair! If you’re planning a party in swish Mayfair, expect to pay Gucci prices. But not at The Iron Duke, where the Boot Room won’t cost you a penny. Yes, that’s right, it’ll cost nothing to invite up to 45 people to party in the light, high-ceiling room above the main pub. 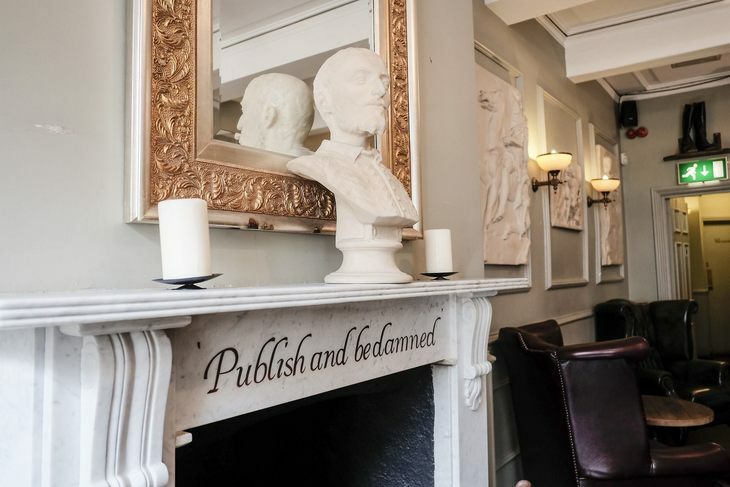 For a talking point, the marble fireplace bears the quote “publish and be damned”- the Duke of Wellington’s response to an ex-mistress who threatened to publish the love letters he had written to her. It can be decorated as you like and has audio set-up so you can bring your favourite tunes, or a DJ, plus a TV screen and a projector. As a Fuller's pub, the beers are the brewery's normal fare, while the food — which can be ordered in advance — is pub grub style. Expect the usual fish and chips and burgers, but also tea and hop smoked haddock and salmon fishcakes and harissa lamb chops, plus a couple of vegan and vegetarian options. As if that weren't enough, the boozer made our list of the best pubs in London – go ahead and fill your boots. A proper old fashioned pub function room. And you'll be doing good for charity if you use it. Excellent. If you like your boozers traditional, this is the spot for you. Wood panelling, red bar stools that have propped up punters for years, a regularly-changing selection of good beers, a warm welcome — everything about this place screams that this pub knows what it’s doing. The upstairs function room continues the ‘proper boozer’ theme, with frosted glass pub mirrors, a well-loved blue and red carpet, TV screen, and your standard red material conference hall chairs. This is the sort of place that’s seen Londoners through birthdays, weddings and wakes for decades. There’s not much in the way of food, apart from at lunchtime when there’s some light food, but bring a buffet including some jellied eels and cockles and you’ve got yourself a London pub experience par excellence. Impress your guests by telling them it was the place Bob Dylan played his first concert outside of the USA; gents — look out for the games in the urinals. You can hire the space by the hour or for the whole day/evening; one of the final lovely touches about this place is there’s no charge to use it, but it’s asked that a donation is given to MacMillan Cancer Support instead. Contact them to book. The Wurlitzer chair at the Penthouse at The Driver in Kings Cross. Gastropub The Driver is well worth a visit in its own right, with good food and a decent drinks selection, but it also has a menu of five floors of rooms to whet your appetite. Three of them hold up to 100 people, while the third floor Penthouse can cater for 80, and the diminutive roof garden — a great spot in summer — considerably fewer. 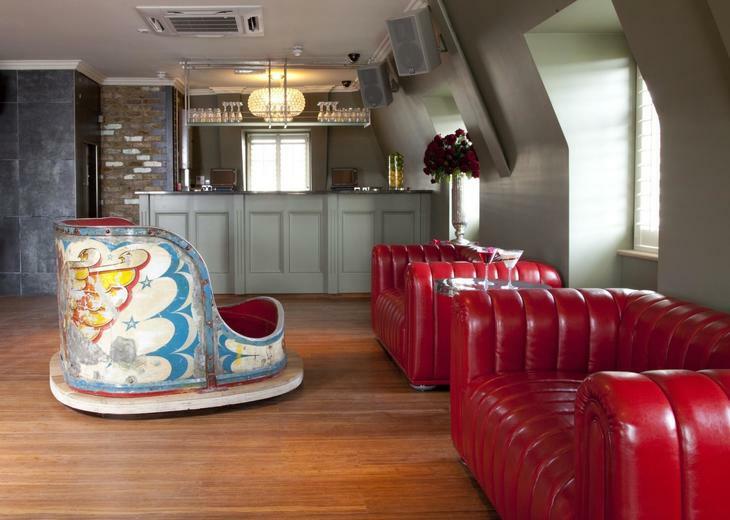 The first floor Bar has warm-looking décor, with neon signs and low lighting, while the exposed brick and DJ booth of the Saloon has more of a warehouse feel, but we like the Penthouse best, for its original 70s Waltzer chair. No psychos allowed at the Hitchcock-themed North by Northwest. The Alfred Hitchcock theme doesn’t stop at the name of this quirky pub, close to the site of the Gainsborough Studios where the director cut his teeth. 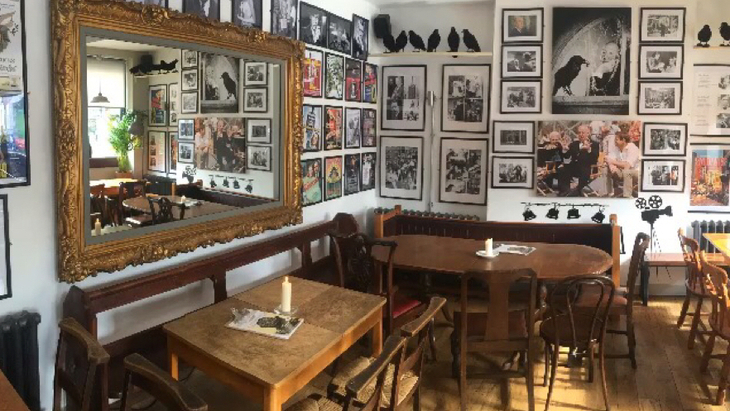 The walls are covered in memorabilia, photos and paintings of the great man. There’ll be no Strangers on a Train here, as you and your friends get through the excellent beer selection. The room is free and you don’t need to worry about getting vertigo as it’s all on the ground floor — no 39 steps in sight. This is the sister pub to (also excellent) The Alma not far away, so if you’re looking for a bit of Hollywood glamour for your party, this is the place. No shadow of a doubt. Just don’t mention the birds. Lord's Room at the Lord Palmerston in Tufnell Park has striking wallpaper. There are two beautifully-decorated rooms at this Young’s pub, each of which is quite different so you can suit your tastes. With deep blue walls and steps out to a cute little garden area, The Dairy Room can hold up to 30 people. With comfy armchairs and sofas, plus a fire at one end, this is a cosy place for a party. Upstairs, the slightly larger Lord’s Room has fantastic views of London, two fireplaces, and a diamond-pattern wallpaper that might just make your head swim after one too many. Food and drinks are Young’s usual good standard mix of pub favourites and a fairly meagre selection of vegetarian options. General Goughs Speakeasy at the Earl Haig Hall in Crouch End can be decorated as you like. Don’t be fooled by the community-hall look of the outside of this Crouch End pub. Earl Haig Hall may be a former Royal British Legion social club, but inside it’s all pub. Its function room, General Goughs Speakeasy — named after first world war British Army senior officer, and a favourite of Field Marshall Haig — is probably a little larger than a speakeasy, but what’s in a name? Holding up to 120 people it’s a blank canvas, so you can decorate as you wish, and come and go via your own dedicated entrance. Order drinks in advance — including ale from owner Antic’s suppliers — and you’re free to run the bar yourself; or there’s a full selection in the pub. There’s a £1,500 minimum spend. So if you want all the look of a traditional community hall, but with the convenience of a fully-functioning pub — quick march over to this spot. The wallpaper in the Hope and Anchor is a sight to behold. If remembering your party by the photographs is a priority, this is the place for you. With colourful, tropical wallpaper that makes an Insta-perfect backdrop and a soon-to-arrive photo booth, this is a snapper’s delight. The Rocks Room is set on the first floor of this popular Brixton pub, where you can pick from craft beer and cocktails at your own personal bar. Alongside the classics such as Margaritas and Cosmos there’s an interesting Mexican take on the espresso martini, using Olmeca. Once you and your guests have lubricated those vocal chords, grab the mic and rock the party by belting out some karaoke classics. It’s going to be a big night. For smaller bashes, the pub has heated Tiki huts in the garden for all-year-round alfresco good times. 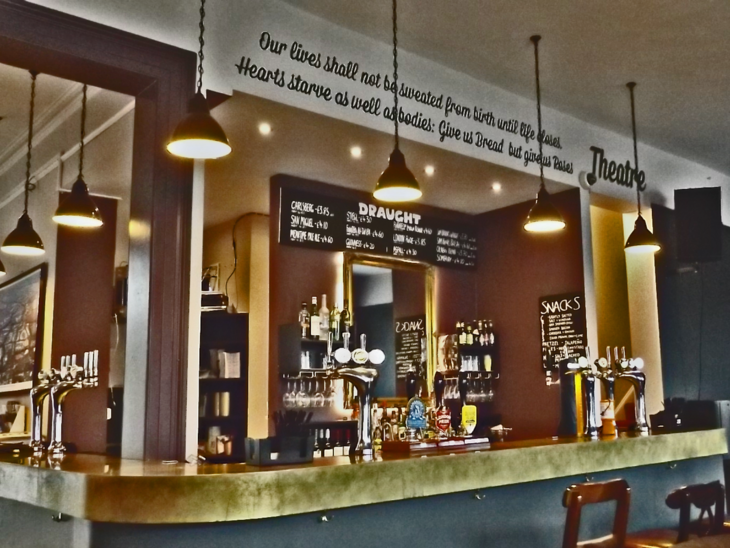 Regularly used for gigs, theatre and comedy, if you book far enough in advance you can use this great space at one of south London's loveliest pubs. 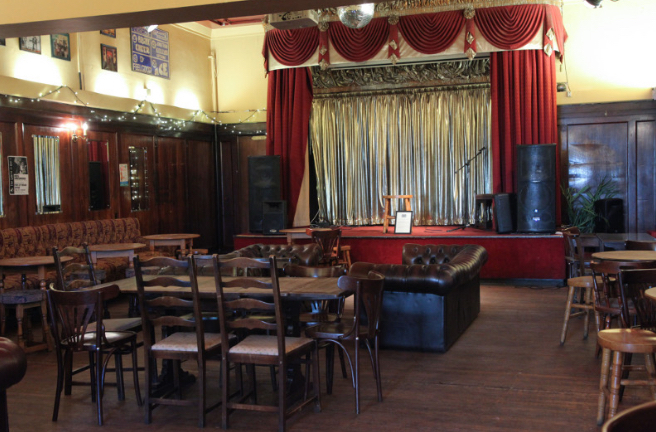 One of our favourite pubs in south London, The Ivy House’s music room is frequently used for gigs, comedy and theatre, but you can hire it for your big night. London’s first co-operatively-owned pub has eight rotating real ales and ciders, and a superb selection of craft beers — this really is one for the beer fans. But there’s also an extensive wine list, super-nice staff, and has a beautiful 1930s interior that gives it a very homely feel. 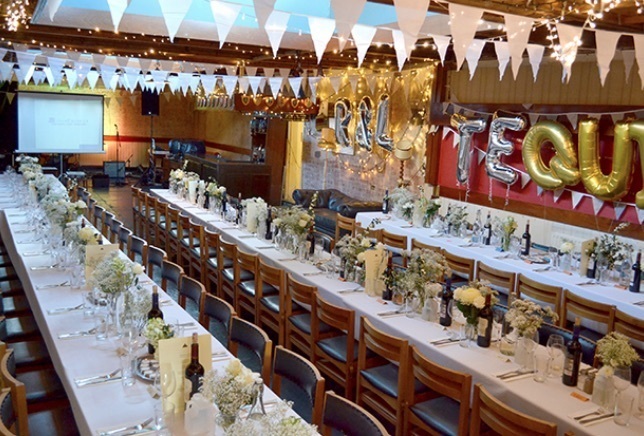 The classy Nelson Room at the Trafalgar Tavern is a favourite spot for weddings, but would make an excellent venue for a classy party. 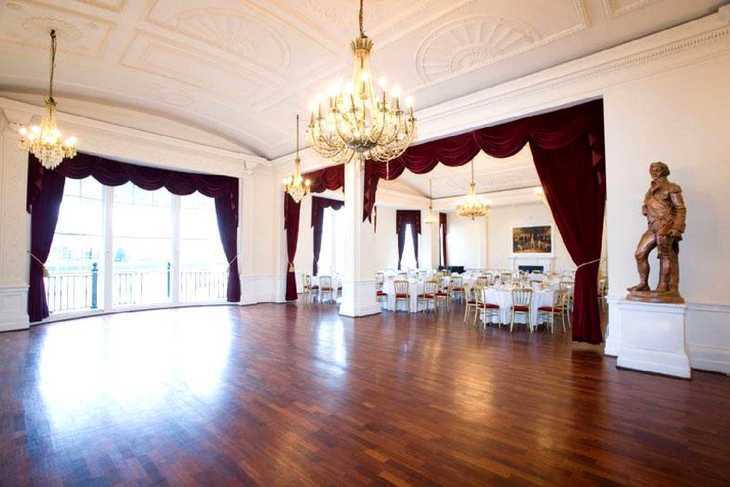 Elegant chandeliers, floor-to-ceiling windows overlooking the Thames, ornate cornicing – this is one heck of a classy pub function room. Particularly suited to weddings, the Nelson Room and adjoining private Admiral’s Bar can hold up to 200 people, who can enjoy the sumptuous bespoke catering packages and drinks menus. Think linen, white plates, polished wooden floors, and stunning views – this is one of those venues that people will talk about long after the party’s over. Party for a cause at the Bread and Roses. If you want to party with a conscience, this Battersea and Wandsworth Trade Union Council-owned pub is named “in recognition of the struggle of workers around the globe for a better quality of life”. Run by the Workers Beer Company — famous for its Glastonbury beer tent — it’s not just about politics, there are some seriously good ethical beers here too. The pub’s Conservatory is bright and airy, and you get exclusive use of the beer garden, making it great for good weather. Accommodating up to 60 people, there’s a PA you can plug an iPod into, plus food on request. The bar is shared with the pub. The cosy upstairs room at the Prince Arthur has a private balcony from where you can lord it up... like a prince. With an appropriately regal name, the Prince Arthur is just the place to live out your Royal Family fantasies. Up a staircase at the back of the bar, you find yourself in the pub's private room, which has a balcony from where you can lord it up. The room can hold 50 people (they ask for a minimum of 30 if you want it to yourself) and it has a dart board, projector and screen, plus speaker so you can play your own music from a iPod. Or get your butler to do it. The recently-refurbished pub has a great selection of beers, excellent food and really friendly bar staff. Best of all, and rare in Shoreditch — it's free to use, so you don't need to dip into the royal coffers for this one. 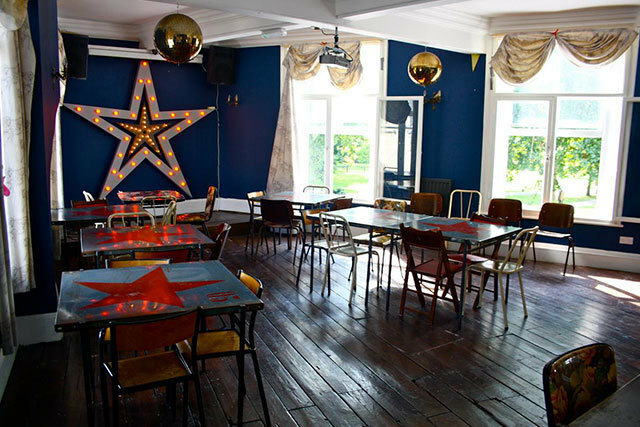 Light up your party at The Star by Hackney Downs, in this quirky function room. You can be the star at The Star at this excellent boozer’s Karaoke Room. Rent it by the hour or torture delight your friends for the whole night. Kitted out like a gypsy caravan, you can even hire a psychic and illusionist to read palms or conjure up some magic for your night. But the real shining light is the main function room — with its own bar, toilets and idiosyncratic décor, it’s a self-contained space to let loose. Bring your own DJ, or just an iPod, and create your own playlist. During the day, the pub will even run a full meal service for up to 35 people up there, which is great for a big Sunday lunch. The function room at the Heathcote and Star can become its own private club. The recently-reopened Heathcote and Star has an excellent games room, with ping pong and pool aplenty. But the private 'pink' room is why you'll come here. 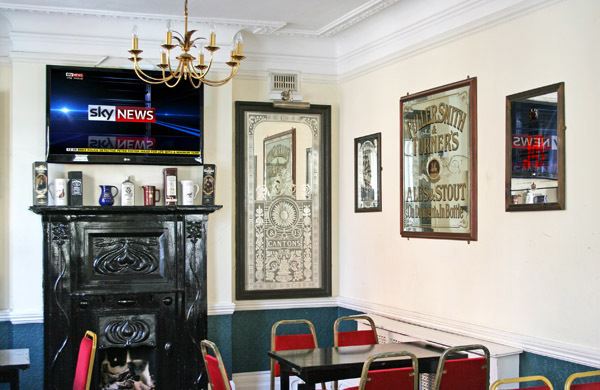 This separate room off the main pub has its own bar and toilets so you can be fully self-contained, and it has its own sound system so you can bring your music, or a DJ. Food is by We Serve Humans, so think slow cooked meats, sumptuous burgers and egg-cellent chicken. Roll up for this unique pub space at the Aeronaut in Acton. Clown around to your heart's content here, where The Circus Room is kitted out like a Big Top. 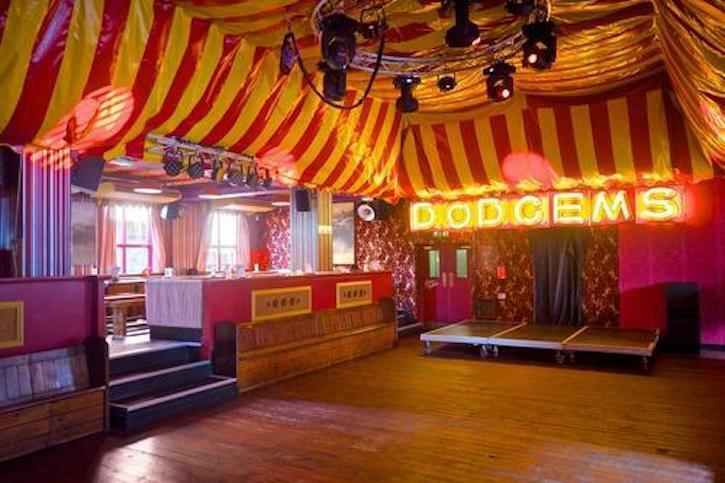 Yes, complete with red and yellow stripes, bright lights, a huge dodgems sign and booths surrounding the centre, you can be the ringmaster of your own occasion. Up to 200 people can roll up roll up until 1am and just like us, you can labour the puns until someone blows their (big) top. The pub’s name is inspired by local lad, pilot George Lee Temple, the first man to fly a plane upside down, who died in a plane accident in 1914, aged 22. It has a great selection of beers; food is typical pub grub fare, but there’s a strong selection of vegan and vegetarian food; and circus-themed cocktails. Minimum spend at the bar is around £1,000. Your party will be all shipshape at the Old Ship in Hammersmith, where beautiful views of the Thames await. Feel like you’ve set sail to good times at this riverside pub, tucked away down some back streets off the Great West Road. The Drawing Room has pretty wood panelling, stunning views of the Thames, and its own private bar, where you can welcome up to 65 friends aboard for your occasion at this 350-year-old boozer. The 1829 Room at the Princess Victoria. Party like it's 1859 in the private room upstairs at one of London’s original gin palaces. Fittingly, the bar is stocked with over 100 types of gin, but there’s also over 40 beers and ales and an extensive wine list. 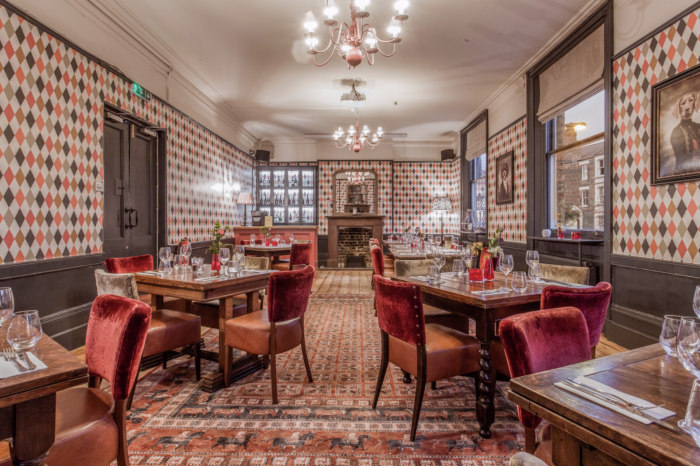 Decked out in hand-painted wallpaper, chandeliers, big windows and with a private cocktail bar, the 1859 Room can hold up to 90 people, and it offers bespoke canapes or full sit-down meals. And if that journey home looks like it’s going to be too much effort at the end of the night, the pub has five luxurious bedrooms named after — what else — gin cocktails. Find your perfect pub, whatever you're looking for, in our searchable database of London's best pubs.